Cardiovascular Disease (CVD) describes diseases of the heart and circulation. It is the number 1 cause of death globally and in 2016 17.9 million people died from CVDs of which 85% were due to heart attack and stroke. Physiotherapists play a role in cardiac rehabilitation and can also help in the prevention and management of the devastating affects such as hypertension, coronary artery disease, heart attack and stroke. 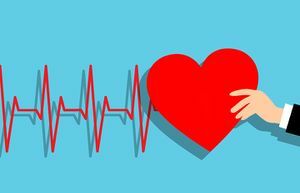 Many of of the early symptoms of CVD cannot be seen and are only discovered when they have been present for a while and significant damage has been caused resulting in physical symptoms. Physiotherapists are in the perfect position to encourage people who have high risk factors, such as smoking, poor diet and sedentary lifestyles to adopt healthier lifestyles and become physically active. Pages in category "Cardiovascular Disease"